Many workers perform their daily job activities in dangerous environments and situations. 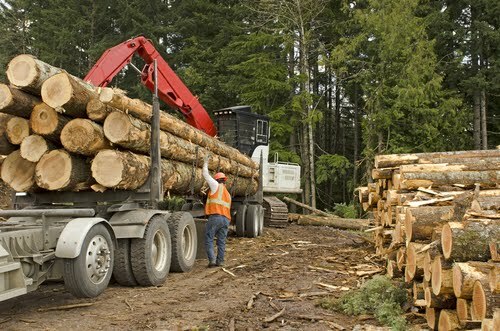 People who work jobs such as firefighting, deep sea fishing and logging receive extensive safety training. They also wear special clothing and use equipment to protect them from the elements they encounter. This post discusses some new technologies that can help keep workers safe in extreme conditions. NerveRush, a site dedicated to extreme sports and other high-octane activities, lists fishing, search and rescue, mining and logging among the nine most extreme jobs. 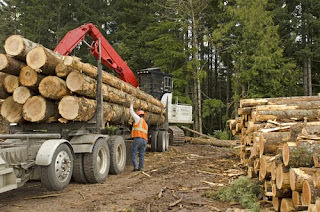 Workers in these occupations encounter cold and wet conditions at least part of the time. With few exceptions, professionals in extreme jobs need to wear weather-related gear to protect them from elements that can seriously injure or kill them while they do their jobs. Those who work in cold and wet weather (Alaska fishermen, offshore oil workers and lumberjacks come to mind) wear lightweight and weatherproof parkas with insulating materials, like Gore-Tex and Under Armour. Those who work under hot conditions, such as miners, wear cooling gear that wicks sweat away from their bodies. Many also wear lightweight rain gear in bright colors so they can be easily seen. Workers on offshore oil rigs in warm waters also need protection from rain and spray. Omni-Freeze Zero, a new cooling technology from sportswear company Columbia, uses sweat to activate super-absorbent polymer rings. It traps 300 percent more moisture than normal fabric, according to WildernessDave, who tested several Omni- Freeze products in Phoenix's 100+ degree heat. He found it works significantly better than other wicking materials. The one improvement he hopes to see? Odor-blocking technology. Firefighters wear gear with chemical protectants against heat and the effects of fire. DuPont's Kevlar fiber is five times stronger than steel and lightweight enough to use as a liner or shell. Combined with Nomex, it offers flame resistance as well. Headgear with built-in light sources and PPE including gloves and footwear are also important for miners and firefighters. Helmets are usually made from fiberglass and leather; leather is also used to construct gloves and shoes. Leather used in firefighting gear is treated with fire-resistant chemicals. Workplaces like mines and oil rigs have the second-highest percentage of fatal accidents, according to the Bureau of Labor Statistics. Managers at these sites are expected to follow safety regulations, train employees, post required safety signage and provide appropriate safety gear. Agencies within the Department of Interior are charged with inspecting workplaces to ensure they are following safety regulations. 2015: Compressed Air Foam Fire Suppression System that provides a rapid response to underground fires. 2014: Helmet-CAM Technology that integrates a wearable video recorder with an aerosol monitor to deliver real-time test results on dust samples in a worker's personal space. 2013: Real-Time Data Analysis of Changing Ground Conditions consolidates various data to assess and predict ground behavior and issue early alarms when needed. Virtual and simulated training, including online courses.